It was announced on the FC page that they will be holding an exhibition called 『ARASHI EXHIBITION "JOURNEY" 嵐を旅する展覧会』, which is the very 1st exhibition that they will be doing, since their CD debut 20 years ago. The guys were thinking what can they do, to express their thanks and appreciation to the fans who have been supporting them. It took them more than half a year to do the preparations. The theme is 'taking a journey to 嵐', a new meeting place for them and the fans, a new playground. They have not decided the rest day for the exhibition and they have plans to hold it in Osaka next year. As for whether they will be holding it in the other parts of Japan, they are still reviewing them. This exhibition is only limited to Arashi FC members (for both the representative and companion). Details for applying for the tickets, admission, the outline and the original goods etc, will be posted on Johnny's net, Johnny's web, Arashi FC exclusive site and the official site. And earlier on, a message video from the guys was posted on the FC page. 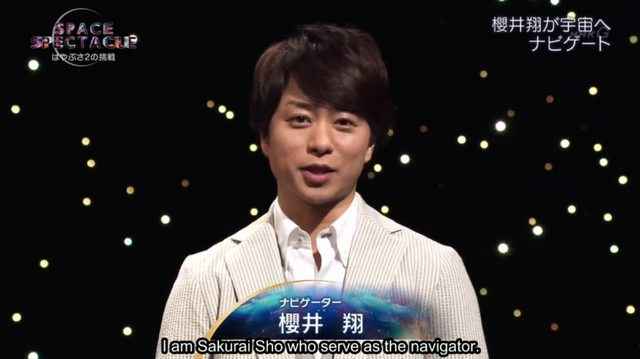 Jun further explained that the theme is 'taking a journey down the memory lane of Arashi'. Aiba said it's not just old photos but you can experience different things from the modern technology to analog. I'm not sure how they are going to do this, but I hope it's not a first-come first-served basis. As of now, I don't see any mention of the possibility of not being able to get tickets, but I hope the chances of getting the tickets would be much much higher than getting tickets for their concerts. I'm guessing you can choose the day (1st choice, 2nd choice etc) but not the time. This reminds me of Ohno's art exhibition and initially there was no reservation or anything...you just have to queue in to enter. But there were way too many people, so they had to come up with a system, which unfortunately I can't remember how they did it. This is a project Winkychan and I started working on before she was hurt and took her break. [Updated on 21 Apr 2019] Winkychan is so kind to share the softsub. If you / your comm would like to retranslate this episode, please PM me. I miss Winkychan so much. I hope she is getting fine. Please PM me if you / your comm would like to have the softsub for retranslation. Thanks. Dear audience, today really thank you for coming to our concert. It was fun. As members also said, today is the first concert after that announcement. I think people may also be worried about us "What would the feeling be?". I think ARASHI fans who did not come to the concert today, who could not come to the concert today may also worry about "What is the feeling? How is the concert going?". My opinion is, it was tremendously warm today. I think that you all came to this concert embedded with various feelings. The feeling of all of you supporting us and trying to excite the concert has been very well conveyed to us since we sung the opening song. "Uwa, we are supported by so many people" I once again thought that. Therefore, today was a really amazing concert. I shall not forget it ... I shall not forget it. Please do deliver this message to your friends who are fans and who did not come to the concert today. "Nothing has changed. Those guys are as usual and as have been". I hope that you could deliver this to other fans. Well, since this tour started ... rather, perhaps even earlier, we shall continue walking our road, with no change, in our style. Ourselves. And I hope that we could walk this road with you all together. While I said that since this tour started, there are still sceneries that we five would like to see together. I hope that one day this wish would come true, and then, I hope to see these sceneries with all of you together. Sakurai Sho, Aiba Masaki, Ninomiya Kazunari, Ohno Satoshi, Me, we five shall continue working together with no change and in ARASHI style. Therefore, while I think that you may have various thoughts, I hope that you would continue following us from now on. It was the greatest 20th anniversary concert. Please continue supporting us in the future. Thank you very much. Eh~ today thank you for coming to our concert. Thank you very much. My thought is the same as them! I have no idea what more can be added. I think all my thoughts are conveyed! However. Well, though I think that you may be concerned about this ... my birthday two years ago. That cannot be forgotten, right? I was told (about the break) at that time. If you think about this. Well, my friend who watched the January press conference said that our words were very ... "ARASHI-like". I still remember this. I was told "it's amazing that you five managed to stay silent for such decision". Well, because this issue was too serious, to talk to other people ... well though of course there are people to discuss about this issue ... we stayed silent and thought about this ourselves. Though we have reached this decision without discussing with our fans, in such information society, that we managed not to leak this decision and watched over this decision is ARASHI-like. Somehow, seeing the reaction of people towards this decision, there was a moment that I strongly felt the "ARASHI-likeness". While my friend told me this, I said "Ah~ indeed", "Ah~ but, we are not people who have so many friends (giggle)", well ... "there is nobody whom I can talk about this, right?". Well, though if I search, I could find some people to talk about this issue. In order not to cause various issues, as Sho-chan also said, we certainly have treasured our own words more than anyone else. Therefore, I don't like my word to be twisted, or documented not in the way I say. Because these twisted messages would be read by everyone. Therefore, we stayed silent and silent ... and it came to that press conference. As expected. We did not intend to make it sad ... it is sad, isn't it. Though it is sad, it is not really the end, right? We are just taking a break. From now on, we together, we do not pull ourselves away from you. You and us, we face the future together, we see the same thing together, we walk together, in the future, we shall also create our memories together. Really as I commented at the very first beginning. In the future, we shall still be ARASHI all the time. This does not change. This will not change. I hope that we would work joyfully. Today I had a very good time. In your normal daily life, there must be good moments, absolutely. Therefore, please treasure each single good moment and don't forget it. When we meet each other like this again in the future, we could have more and more joyful memories. From now on, in the future, please also support us. Today thank you very much for coming! I had a great time! Dear audience, today really thank you for coming to this concert. I really love the five members of ARASHI. Five members ... the other four members? Well it's fine, including myself, I love ARASHI! Really. I have lots of gratitude and respect to them thus far. I have seen various sceneries in these 20 years. I have seen a lot, dear audience, thank you very much. There were a lot of splendid, amazing sceneries. Well ... if, no, absolutely. This is a miraculous 20 years that I could never see even if I were reborn in the future. We have released 56 singles. We have released some ten albums. Look, we have released the best album『Ura ARASHI Mania』, we have released various songs! We have released a lot of songs! Really, there is memory for each song. It is impossible to sing all 56 singles today. So it is a luxurious worry to decide the song list. Looking back, during ARASHI First Concert, we only had one song that was ARASHI's 『A・RA・SHI』. In that first concert, we sung ARASHI's 『A・RA・SHI』 for three times! The original version, the parapara version, the a-bit-nice version ... the mellow version. That was very nostalgic. Looking back, ARASHI started with "We would like to give rise to storm in the world", I think we have not achieved this goal yet. Though we shall have a break, this would be a period of time to store more power, while we reunite, we shall definitely give rise to storm in the world! Therefore, please stay and have fun with us together. It was really joyful today. Thank you very much. Dear audience, thank you for coming today. Eh~ 20 years has passed. But really, even it's been 20 years, I still think it amazing to be able to perform concerts. Since debut, almost every year we were able to do concerts. Once again I think that this is also a great thing. But at the very first, really ... as for concert, well, it was still during my twenties. I really had an impression that concert was just recklessly moving ... probably? But recently, 20 years has passed. Recently ... I remember the technology of relaxing (giggle). In good sense! Keeping a balance of work and rest is important, right (giggle). However, indeed we have been doing it for 20 years, our concerts are becoming better and better, I have a very concrete feeling about it. However, really, this year, I shall be 38 years old ... Ah, no, I shall be 39 years old. For 39 years old, I think I move quite a lot! Right (giggle)!? Today is the first day after three months that I danced like this and I think "I can do it!". Indeed in these 20 years, we are able to do concerts like this every year, I can sing and dance every year so that I can keep this physicality. I think that this is a great thing. Even now, it is amazing to stand on stage like this. I once again felt that when I do the concert and dance today. But I am 39 years old. Recently I look back a lot the video clips in past years, indeed I become old. Though I am told often "you are still not old, you are still not old" ... I become old (giggle). However, I think I am getting old in a good way (giggle)! Indeed, indeed! Thanks to you so that I can get old in a good way. Really. Because you support me, because you watch me on TV. Because you come to see me standing on stage like this so that I can get old naturally in a good way. This is really because of you, I think. Therefore, really, I don't get old weirdly, really, also after starting the break, I would keep this visual which is created by all of you!! Because it would be an imprudence if I don't keep it!!! Really, in our 20th year, once again, it is extremely happy that we five would stand on this stage. No one member is missing. Indeed this is a difficult thing. Indeed these four members are really extraordinarily kind people. I really think once again that such kind four people cannot be found in Japan or overseas. Really, though we are told that "you all are in good relationship, you are in good relationship", I think that we are in very good relationship. Dentist ... we five have the same dentist. This is so rare, isn't it (giggle). I think we five have been together even in such aspect. Really, indeed we are created by our staff, our managers, the staff in the agency. And of course. Without all of you, we would not be able to do concerts like this every year for 20 years, indeed. Because of the power of all of you, we are able to stand on stage now. Therefore, concerts, and this tour will continue until the end of this year. Until the very end, we shall work to our very best to deliver the concerts to you. Please watch over us until the very end. It has been great to meet all of you today. Thank you very much. ── What did you think about this first-time recording after new year? A: It was very happy. The "Gutto Sports" thus far, in one sense, is to dig deep into the parts of the guests which were hard to be featured, so I hope that audience would look forward to it. I also think that guests may have shown faces that they may not show in other programmes. ── The athletes of various games will appear in the programme, will Aiba-san read the materials and prepare for the interview before the programme? A: Because the programme does not feel like "It's TV show! ", basically I don't do preparation. We prepare up to a light preparation meeting. During the official recording, I learn together with Itoda-san and Kojima-san from what athletes say. I dig deep what I think and what I am interested in on that day, at that occasion. I feel like I am facing the first reaction with great care. ── I have an image that Aiba-san is always close to sports such as you have be playing baseball and basketball since childhood. Have you noticed any change of your awareness on sports while interacting with the athletes appearing in the programme? A: Indeed I become aware of the games of the athletes who came to this programme. For instance, when I see on TV the athletes who have talked about various things in the programme fighting for victory, even we only met once, I feel like he is no longer no-body to me. I have enthusiasm to cheer for them "this player had such great effort and had had such experience and defeats so that he is fighting in such way here now!". I changed a lot on the way of watching the sports games as well as my feelings when I watch the competitions. ── When you look back the past recording, please tell us what is impressive to you. A: Though it may apply to all athletes, they have an extraordinarily huge amount of exercise. However, they do not think it a tough thing, rather, they would think that it is natural, it is their lives, and I am always inspired by their high awareness of this. A while ago, soccer player Nakazawa Yuji-san came (25 March O.A. ), he seemed to have control alcohol and oil during his soccer career. I was surprised by his saying that "I am glad that I can eat fried chicken and drink beer". The daily life of athlete is totally different from ours. ── It is noticed that Aiba-sans's warm and soft aura connects with the overall atmosphere of the programme. What do you think is the charm of "Gutto Sports"? I think it would be that this programme doesn't have a stiff feeling. I also have some part in me like a costumed mascot character, right? (Giggle) While audience can see athletes in various occasions, frankly saying, it is somehow difficult to let them show their genuine "inner" side. However, if we record the programme in a nervous way, they definitely will not show us the side which they plan to show. They definitely will not talk about things even they can talk about. Therefore, in order to record the programme in a happy and relaxing manner, in good sense, we are aiming to continue our style of making a "relaxing programme". ── By the way, I think in April, the start of a new work / school year, there are a lot of people who change their environment. Please tell us Aiba-san's way of communication! For me it would be that no matter in what occasion, I work to my very best in order not to have any regret. Not only communication, work and study, no matter what thing, even if it doesn't turn out to go well, even if it would turn out to be fruitless effort, I think you won't regret if you have tried your best. If you do your best as much as possible, whatever the outcome would be, you would be able to accept this, right? ── At last, please have a message to the audience. We are welcoming the 4th year of this programme, we would like to talk to the athletes with "good feeling" as have been. Heading 2020, it would be more and more exciting in terms of sports, it would be great if this programme would contribute a little to convey the various angles of sports and the greatness of the players ...! It would be great if the audience would join us to enjoy this programme together. After the very exciting first recording of new year, Aiba-san changed his costumes and went to take photos for the programme poster. Aiba-san who was lectured that the cameraman will take photo the moment he stood on the stage and stepped a step out said "thank you for your care!" and tied his shoelaces to stand by, and tried the photography session of "timing is critical!" hard difficulty while exchanging opinion with cameraman with smile such as "Should I put my leg more in front? ", "The part with direction changed is out of focus". As a result, Aiba-san fully exhibited his naturally good motor talent and finished the photography more than ten minutes (!) than expected. Please stay tuned to the more power "Gutto Sports" as well as Master Aiba Masaki. ※ Please read the translation rules. ✉ This listener said she recently tried to write down her favourite words in her notebook. Also phrases from books that she thinks that are great, her favourite lines from dramas, her favourite song lyrics etc. Of course, this includes the dramas that they are in and their songs. And also their greetings from 24時間テレビ and concerts. Does Nino have a favourite word/phrase? Nino said "My favourite word? What could it be? *pauses* 'Savings'. Erm. I guess that would be it? Erm. It's important, isn't it? Savings. So I can spend a stable when I'm old. Right? I probably like (the word) stability too. Isn't it? It's great...stability. Erm." Then he said how there is no old man who keeps playing games everyday. Where he plays 1 game at a time in a day. Nino continued to say how when he was a child, there were 2 (game) buttons. He was really glad when it became 4 (game) buttons and the difficulty level went up so much. But there is no button for Pazudora and if he told the younger him, there will be no more buttons, the younger him will not believe it. ✉ This listener wrote to say how she got to know this person, through a mutual friend. When she started talking to this person, she found out that both of them love Arashi and Nino. And hence, they got hyped up. What surprised her was they have the same birthday and from there, they got closer and now they are good friends, who go to concerts together. So she is grateful to her friend who introduced her to this person and also Nino. Nino said that is incredible and how you might not be really interested in this person, but when knowing you share the same birthday, you will be able to talk to this person for 10 minutes. It's not about the technique to expand the conversation based on birthday, that is important. It is merely "Eh? Is that so!? It's the same!?" Nino also said it's probably possible as well if it's based on zodiac sign and blood type. Then he mentioned about left-handers, which you can only talk about the things that are common with left-handers. He asked the staff if he could just only talk about another person, if it's the same birthday. Nino said he could easily tell on Kazama-kun (T/N: They have the same birthday) . He doesn't know why but you will get closer in an instant, like when having the same hobby. Then he added on saying, he also has a friend who he got to know through gaming. Initially, it was because of Pazudora and his friend is a non-celebrity. Which now he thinks about it, it's a curious turn of fate. They are of the same age and his friend was living in Yokohama, who went back to the countryside in Iwate last year. So the staff asked Nino if they keep in contact and he said yes. His friend told him he will be coming to Tokyo around March or April and he asked Nino to let him stay at his house. And Nino told his friend "Sure, go ahead." ✉ This 15 year old listener said she was totally screaming the whole time in front of the tv, at the cuteness of Nino who was going "Aah...", when Jun was feeding him on a recent broadcast of 嵐にしやがれ. Nino said it's really a good life to be told by a 15 year old that he's cute. It's like Funasshii if it's talking about cuteness. That has he finally come to that zone, the same level as Funasshii. Then he said it's not good if he keeps doing that "Aah.." and that it's fine if it is done occasionally after all. And it's the same for everything else. Once again, dear audience, today, thank you so much for a full house from the very very very top to the very very very side! Did you all enjoy the 20th anniversary tour 5x20? I also enjoyed it a great deal! Everyone seemed enjoy it. If you all are enjoying the concert ... I'd be happy. It's great! Really. During the opening? Because I wanted to see this scenery, in the summer of my junior high school grade 2, around 13 years old, I sent my resume to Johnny's Associates in secret. I want to praise the teenage Sakurai that you did a great thing (giggle). However, this is the scenery that I had not imagined at that time. Junior high school grade 2, 13 years old, 1995, at that time, I never thought that I could see such scenery. This is really a magnificent scenery. Thank you very much for showing me such magnificent scenery today. I trust all of you. As fans of ARASHI, I trust all of you. After the January announcement, we used all means as possible to convey our words to you. Probably this started from the moment of the announcement. We made video messages, we also wrote text messages. Then, we did the press conference, a member might have commented on this in live programme. One member might have commented on this in his programme. Perhaps on radio too. Also on Johnny's web. Furthermore, we conveyed to the fans who came to the programme recording on spot. We would like to use every means to convey our words. Therefore, I hope that you would only trust our words. And, I trust all of you that you would only trust our words. My message at this timing of this 20th anniversary ... this is also written in the pamphlet ... if you have not bought it, please do buy one pamphlet on your way home (giggle). 【We've all traveled together all this way．】. We have always travelled this journey together. By "we" I do not mean only we five. I mean that you and us, we have always travelled this journey together. I would like to convey such message. Well, this is the message I already conveyed in the pamphlet. I was thinking "Then, what should I convey in this timing today~". I would like to convey them in such an occasion. Dear kids, when you are back home, please do check the dictionary for its meaning. Dear fans, please continue supporting us in the future! I had the greatest time today. Thank you very much! It was announced during the Nagoya concert yesterday, there will be 嵐のワクワク学校 this year and the assistants are HSJ! This is the 2nd time the guys will be doing the event with HSJ (the 1st time was in 2015). The balloting of the tickets are only for Arashi and HSJ FC members and it is stated they will conduct identity verification (the requirements seem to be the same as for 5x20 concert tour that resumed yesterday). 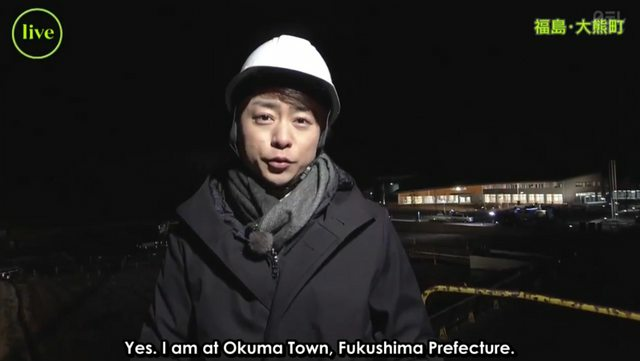 And earlier on, a message video was posted on the FC page and both groups were dressed in their 嵐のワクワク学校 clothes. Koizumi Koutarou-san and Gotou Terumoto-san were asked a question about Nino, to see if they really know him. The question was 'The greeting that idol Ninomiya Kazunari will say it at a concert without fail'. Then Koizumi Koutarou-san asked if it's at the start or towards the end of the concert. Nino told them it's something that will grab (you mean a fan's heart, Ninomi?). So Gotou Terumoto-san was like "Something like I love you?" Gotou Terumoto-san also told Nino, that he should say something more that will make the (fan's) heart beat faster, and I'm like "YES!" Then Nino explained they have decided on the order of the greetings since ages ago, which is Jun → Nino → Aiba → Ohno → Sho. Because they are a A-blood type group. Jun will usually say "(We) will make 55,000 people happy." at the start. So Nino was thinking if there is a need for a similar sense of style (T/N: He said 同じ味. ), and so that there are people who wants to hear that line from Jun and probably there are some who are waiting for that. ✿ The link(s) are only available to those with friends-access to locked posts. This page was loaded Apr 23rd 2019, 6:17 pm GMT.